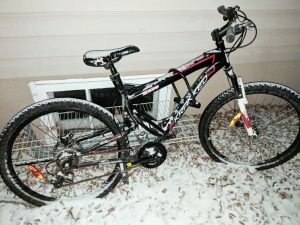 The Claresholm RCMP are seeking the owner of a lost bike they recently recovered. On Feb. 8, the police reported they located a Kranked bicycle and are seeking the owner to have the bicycle returned. If you are the owner of the bicycle pictured or know who it belongs to, please contact the Claresholm RCMP at 403-625-4445 for recovery.